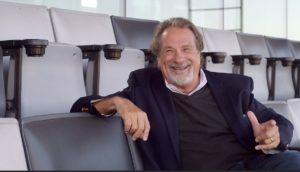 Mike Veeck, co-founder of Fun is Good, will lead the Arenas sector as the Keynote at VenueConnect in Chicago and will show the audience how to discover what brings us joy and how to put it into practice in all that what we do. Mike’s message creating a fun and successful team is applicable to both work and personal scenarios. When we find our joy and passion, great things follow, in both our work world and in our personal lives. It makes perfect sense, yet it’s often hard to make this happen. In a very entertaining session, he will make us think and laugh in the same minute – and provide great advice we can implement immediately. If the name Veeck is familiar, it should be. Mike’s father, Bill, who while owning the St. Louis Browns Major League Baseball team famously sent a “small person” to bat, was known far and wide for tweaking the staid system of professional baseball. Like father, like son, as Mike has toiled in the minor leagues with teams all while holding true to the family credo of having fun. Mike took some time to talk about his session, Fun Is Good – Creating Joy & Passion in Your Workplace and Career. He will also lead a breakout session on Marketing Through Creativity and Building Strong Partnerships. Fun? Is our job supposed to be fun and how can that happen? A big emphatic YES – our jobs need to be FUN! Research shows that when we laugh, when we’re engaged in what we do and have fun, we’re physically and mentally healthier and we’re more productive. And this holds true professionally and personally. As employers we need to create an environment where fun and passion can flourish … and as employees we need to seek out organizations that respect and foster that environment. In many companies we work with we find that people are so dissatisfied and actually angry. We try to help them with that. Why do we take ourselves so seriously? Why did we stop laughing and enjoying each other? I believe in hard work … we absolutely need to take our job responsibilities and our customer interactions very seriously – but not ourselves. When a culture is fun, open, and communicative, it encourages, even celebrates mistakes – and that’s a place people want to be and do business with. You come from a “fun” family well known for many things in the world of Chicago and before that St. Louis baseball. Any surprises that come from one of your talks, and please don’t say you bring a “small person” on the stage! I learned many things from my Dad! While he so respected the sport of baseball and took seriously the players he put on the field, he equally loved creating a place of joy for fans. He created a safe environment for families to escape for a few hours, forget about their trouble,s and get caught up in the magic of a game. I try to emulate that every day in the ballparks I’m privileged to operate – sometimes successfully and often times not. Maybe hosting Tanya Harding mini-bat night or hiring mimes to perform instant replays were mistakes … but hey, I tried, people laughed – and then I apologized. I’m sure I’ll have a few more mistakes from this summer to share with attendees in Chicago. Why do so many find it so hard to make work fun, from top management on down? Are there stereotypes that fun does not equal productivity? You’re right – many “adults” we talk to believe that having fun is frivolous and should be reserved for children. Nothing could be further from the truth. The joy and curiosity that kids exude and their willingness to fall and happily get up again, are the exact traits we need across every organization. This behavior fosters the flexibility we need to stay in front of customer expectations and the creativity we need to build the next great promotion and partnership. The successful/productive people I know want to do business with partners that laugh, have fun, and are pushing the boundaries of creativity. How does this apply in the arena world where employees work ridiculously long hours? I get it – significant time away from family and friends is tough. In my humble opinion, to build this fun and engaged environment and to ask each other to put in crazy hours comes down to transparency and respect. When we openly communicate what has to happen (turn the building around in 12 hours) and more importantly WHY it has to happen (what it means to our business and to us personally), then we create a transparent culture where co-workers can choose to “buy-in to the big picture.” A key word here is choose, because when we’re transparent and communicate our WHY, some may get it and choose to “sign up” while others may “opt out” of the big picture we’ve created. This transparency leads to healthy, respectful conversations … and soon a fun and engaged culture. Wow – that sounds way too serious for me! Ha, ha! What are some takeaways you would like from this session as well as the breakout session on marketing/social media? Truly, I just want attendees to laugh a little bit and to get out of their comfort zone. I know when they do this, they’ll get a hundred great ideas from their peers in Chicago! SMG has named Casey Sparks as general manager of BOK Center and Cox Business Center in Tulsa. Sparks most recently served as the assistant general manager for BOK Center for five years. That position is now assumed by Joe Giordano. “As assistant general manager, Casey’s leadership and dedication have served our city well and I am excited to welcome her as the new general manager of our BOK Center and Cox Business Center. She has done a tremendous job to elevate Tulsa as a place for internationally renowned concerts and events and we are excited to continue this success under her tenure,” Mayor G.T. Bynum said. Sparks began her career in Columbia, SC, at the Colonial Life Arena after graduating with a degree in Sport and Entertainment Management. 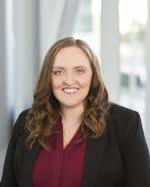 Since then, she was recruited to AT&T Center, a 18,500-seat venue in San Antonio, home of the NBA San Antonio Spurs before moving to Tulsa as the regional director of sales and marketing for 17 facilities, including BOK Center. Sparks was instrumental in BOK Center’s pre-opening venue development and grand opening plans, where she helped host 184 events in the first 10 months of operation. During her tenure, she led the new arena to be a national and international ranked facility for ticket sales. Sparks continued her career in Charlottesville, Virginia, working for Red Light Management, the largest independent artist management company in the world, whose roster includes Dave Matthews Band, Phish, Chris Stapleton, and many more. In 2012, she relocated to to Pensacola, FL, to serve as assistant general manager for the Pensacola Bay Center for two years. Since becoming BOK Center assistant general manager in 2014, Sparks oversaw all arena business operations relating to booking, event marketing, business development, event management, customer service, media relations, project management, premium seating, and employee development. Sparks will oversee over 100 full-time and 500 part-time employees. “With over 17 years of industry experience, Casey is the perfect fit to lead both BOK Center and Cox Business Center,” said Thierry Gray, SMG Regional Vice President. “She’s been integral to the success in Tulsa since day one and we are excited to see her continue Tulsa’s reputation for excellence. Joe Giordano also earned a promotion at the venue in being named assistant general manager, Sparks’ former position. Giordano most recently served as director of booking for BOK Center since 2016. 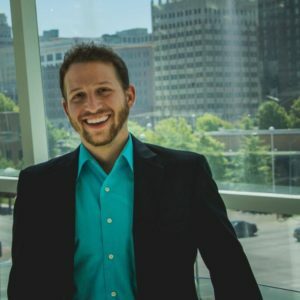 Giordano joined the BOK Center team in 2016 after serving as director of marketing & booking for three years at the Santander Arena and Santander Performing Arts Center in Reading, PA. During his time as director of booking at BOK Center, he worked to deliver a compelling line-up of artists for the commemorative “10 for 10 Concert Series” which included Blake Shelton, P!NK, U2, Justin Timberlake, George Strait, Eagles, Imagine Dragons, Bruno Mars, Metallica, and Elton John. He also contracted the first-ever NHL pre-season game with the Dallas Stars last Fall at BOK Center. He was most recently nominated for the “Rising Star” award by Pollstar magazine. As assistant general manager, Giordano will oversee all arena business operations relating to booking, event marketing, business development, event management, customer service, media relations, project management, premium seating, and employee development. 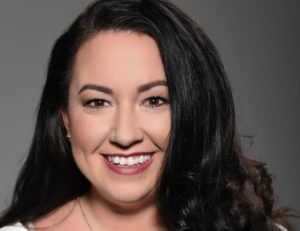 Brooke Bockelman has been named vice president of booking for Rocket Mortgage FieldHouse (formerly Quicken Loans Arena). Bockelman comes to Cleveland from Columbus where she most recently served as director of booking for Columbus Arena Sports & Entertainment (CASE), the organization responsible for handling events for Nationwide Arena, the Schottenstein Center, and Ohio Stadium. In her new position, Bockelman will manage all aspects of event booking for Rocket Mortgage FieldHouse, including budgeting, event production, promotion, and negotiation. 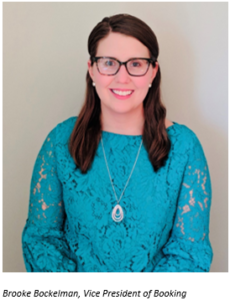 She will be responsible for coordinating and maintaining the Rocket Mortgage FieldHouse event calendar which includes schedules for the NBA Cleveland Cavaliers and AHL Cleveland Monsters as well as all musical entertainment, live shows, and other private events. Additionally, she will work closely with community leaders on bidding for the opportunity to bring national events to Cleveland and Rocket Mortgage FieldHouse. Bockelman’s accomplishments span beyond the workplace. In 2013, she established the Michael Belkin Scholarship at The Ohio State University, her alma mater, to send students to Pollstar Live!, the world’s largest gathering of live entertainment professionals. In 2016, she was inducted into IAVM’s 30 Under 30 Club. Bockelman spent seven years with CASE in various booking capacities including booking manager and booking coordinator, where she served as the primary contact for all arena usage requests including schedules for the NHL Columbus Blue Jackets and various NCAA Ohio State Buckeyes sports teams. In addition to managing large-scale concerts and conventions, she also handled various national NCAA events including the 2018 Women’s Final Four Basketball Tournament. Prior to CASE, Bockelman worked for Live Nation Ohio Valley and Columbus Blue Jackets Arena Management. George R. Brown Convention Center (GRB) in Houston, TX, has promoted John Gonzalez, CMP, to Senior Vice President of Operations & General Manager; Kelly Wolf, CMP, CEM, to Director of Convention Services; and Todd Holloman to Director of Live Events and Experiences. All bring leadership expertise and industry experience to their new roles. 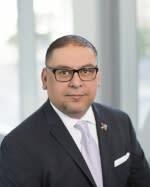 In his new expanded role, Gonzalez will manage the day-to-day operations of the convention center, as well as Houston First Theater District venues Wortham Theater, Jones Hall, and Miller Outdoor Theater. Kelly Wolf has been at the GRB since 2009, previously having worked with Aramark as the banquets & catering manager before moving to the GRB Event Services team as a convention services manager in 2015. Since then, Wolf has worked diligently to deliver the highest quality of service to clients while demonstrating strong organizational, planning, and management skills. She is currently completing her Master of Science in Hospitality and Tourism Management from Purdue University. In her new role, Wolf will oversee the Convention Services team. Holloman has been with the GRB for a year and a half, having previously served as the director of convention services. He comes to the role of director of live events and experiences with a background in event operations, specializing in large-scale outdoor events. Previously, Holloman served in event management and director roles in the Mayor’s Office of Special Events and at the Hobby Center for the Performing Arts, before taking the role of vice president of Super Bowl Live for the Houston Super Bowl Committee. 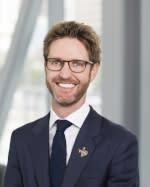 His new position will focus on building outdoor experiences and activations on the Plaza at Avenida Houston, the GRB’s 100,000+ square foot plaza and event space, as well as various outdoor venues in Houston’s Theater District. 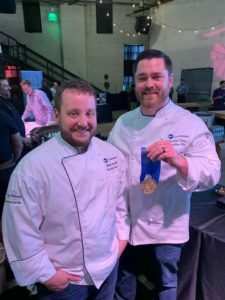 Chefs from Centerplate, the New Orleans Ernest N. Morial Convention Center’s exclusive food and beverage provider, impressed judges at two culinary competitions in recent weeks. At the 11th annual Hogs for the Cause, a barbecue-themed fundraiser for cancer research, Centerplate New Orleans Executive Chef Brandon Felder, Centerplate New Orleans Sous Chef Adam Gianelloni, and team leader, Sysco’s Andrew Shuford, raised $50,000 for cancer research, the ninth best out of more than 85 teams competing. Days later, at the New Orleans Food and Wine Experience, Chefs Felder and Gianelloni walked away with a gold medal in the Best in Show – Meat/Poultry Category for their dish “Duck Four Ways”: Duck, Foie Gras and Goat Cheese Ravioli with Duck Confit and Spinach, Rich Foie Gras Laced Duck Demi-Glace, Sunchoke Purée, and Duck Crackling. The Centerplate team continues a streak of high placing dishes at the New Orleans Food and Wine Experience, winning three gold medals and one silver medal over the last four years.